Lawrence F. Flick, IV (Larry) started his career in real estate as a sales associate for a small company on Philadelphia’s Main Line. Fifty years later, he has emerged as the successful leader of one of the largest real estate brokerage and financial services firms in the nation. His vision was to grow the company to become not only the dominant real estate brokerage firm in the area, but to create the systems that would allow Fox & Roach sales associates to provide home buyers and sellers with a truly exceptional experience. He achieved this growth through 40 mergers and acquisitions. Through the creation of The Trident Group’s mortgage, title insurance, and insurance companies, he produced an infrastructure that gives sales associates tools for offering clients the convenience and ease of one-stop shopping. 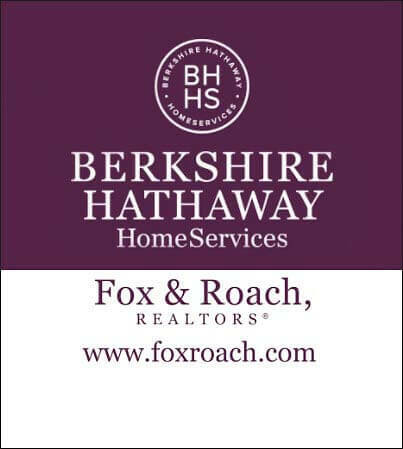 The company became part of Berkshire Hathaway HomeServices in 2013. With the desire to give back to the communities the company serves, Larry established Fox & Roach Charities. Since its inception, Fox & Roach Charities has donated over $4 million and tens of thousands of volunteer hours to over 350 local not-for-profit organizations. The company’s Family Fund contributes vital funds to company employees and sales associates who find themselves in times of distress. Personally, Larry has developed over $100 million in residential properties and received the William H. Bates Award from the Delaware County Planning Commission and the Outstanding Land Development Award from the Montgomery County Planning Commission. He was also named Greater Philadelphia Ernst & Young Entrepreneur of the Year, Mustang Scholars Foundation Man of the Year, and Prudential Real Estate Affiliates Broker of the Year, as well as being listed as one of the most influential people in real estate by numerous publications. 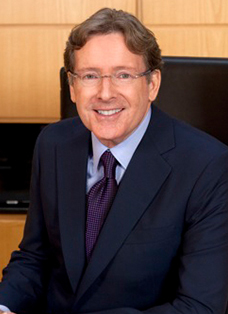 In 2015, he was named a Most Admired CEO by the Philadelphia Business Journal. In 2016, he accepted the Philadelphia Business Journal's Brotherly Love and Sisterly Affection Award for the company's contributions to Fox & Roach Charities. Larry is a native of Philadelphia and graduated from Philadelphia University. He has two children and four grandchildren.